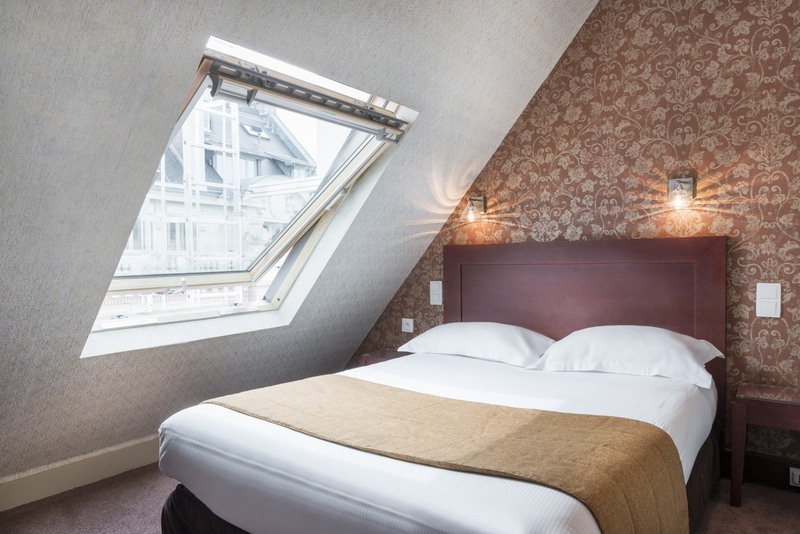 Unpack your bags and enjoy the ultra-cosy rooms of the Hotel Volney Opera. Our team always offers a warm welcome, whether you are in Paris for a business trip or a family holiday, alone or as a couple. 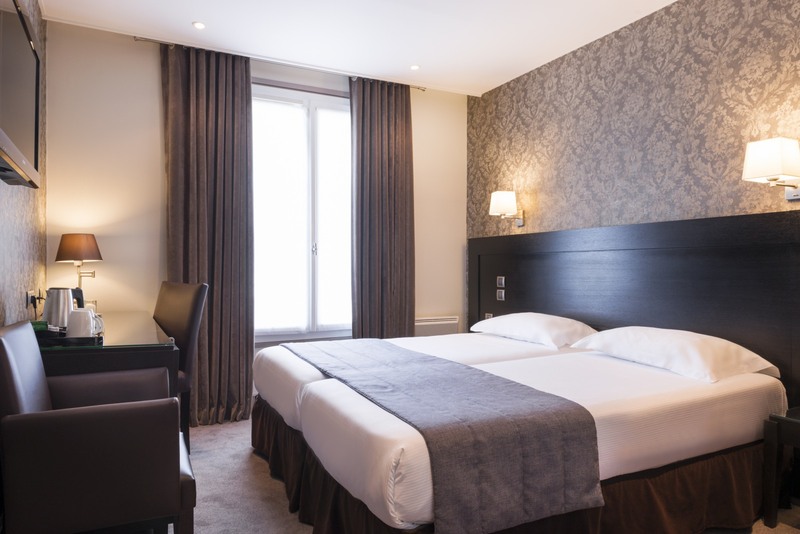 To suit all your requirements, we offer a range of single or double rooms in our Standard, Classique and Supérieure categories. We also propose a Standard double room located on the ground floor which meets the PMR standards and is therefore fully adaptable to the needs of persons with reduced mobility. 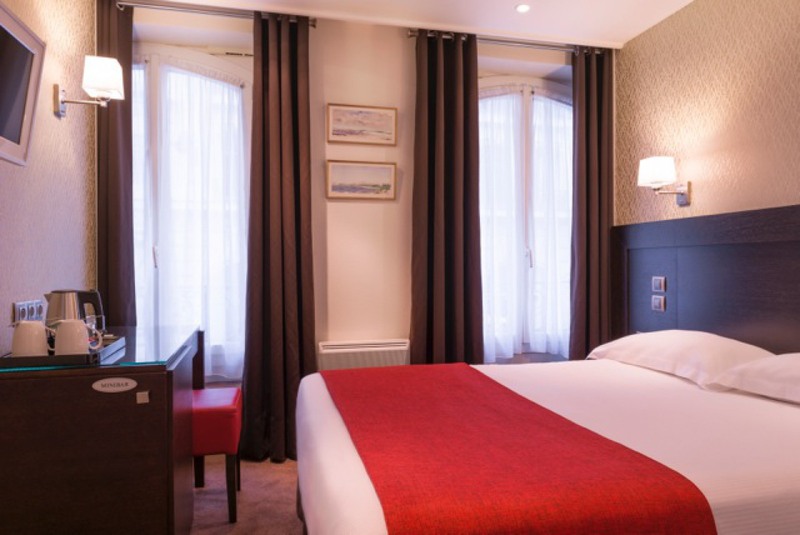 Bright and well appointed, the 29 rooms of the Hotel Volney Opera invite you to unwind and relax. 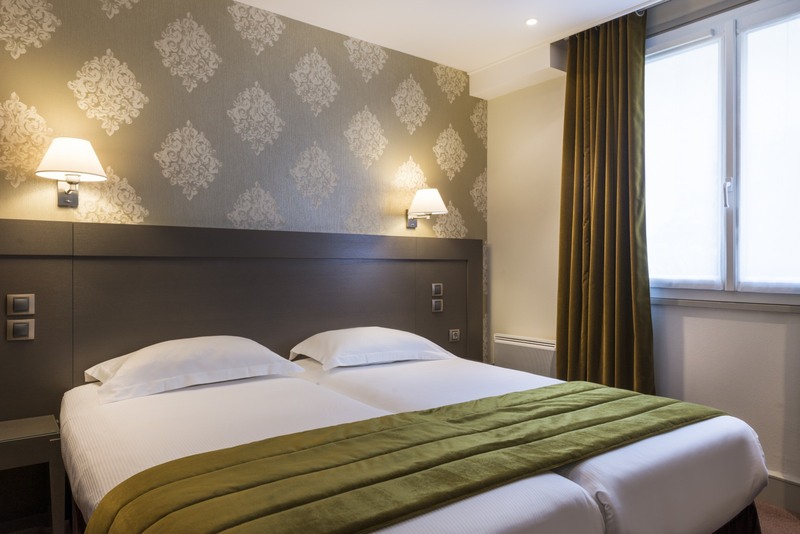 For a short or a long stay, discover and enjoy the comfortable rooms of the Hotel Volney Opera! Are you travelling alone? 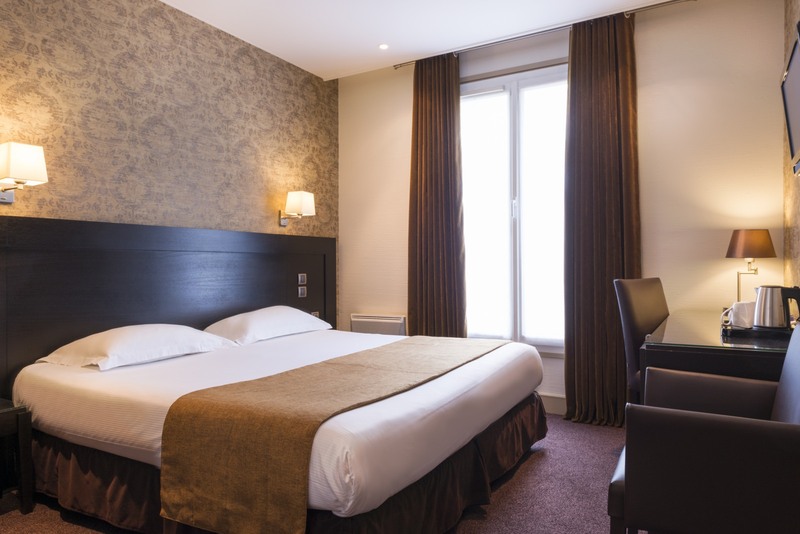 Our Standard single rooms offer all the comfort you need for the ideal stay. 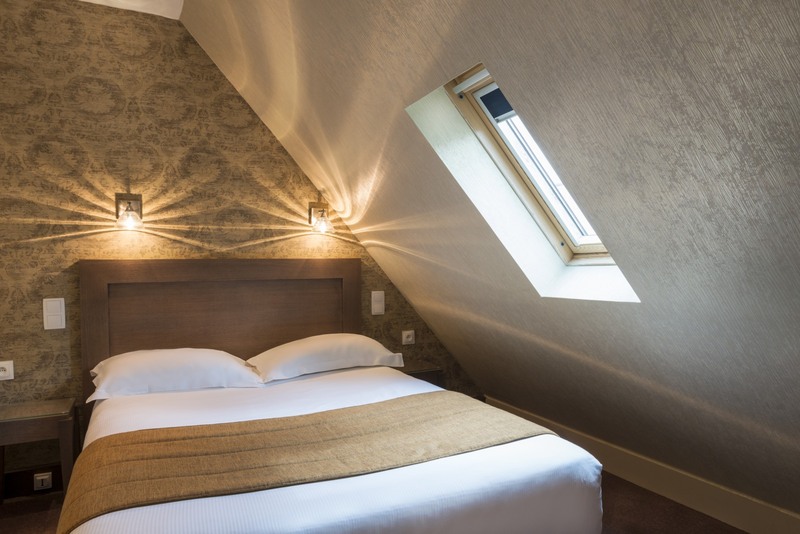 Looking out over the street, our single rooms for a maximum of one person are equipped with a 1.4 metre double bed, a shower or a bath in the attic rooms. 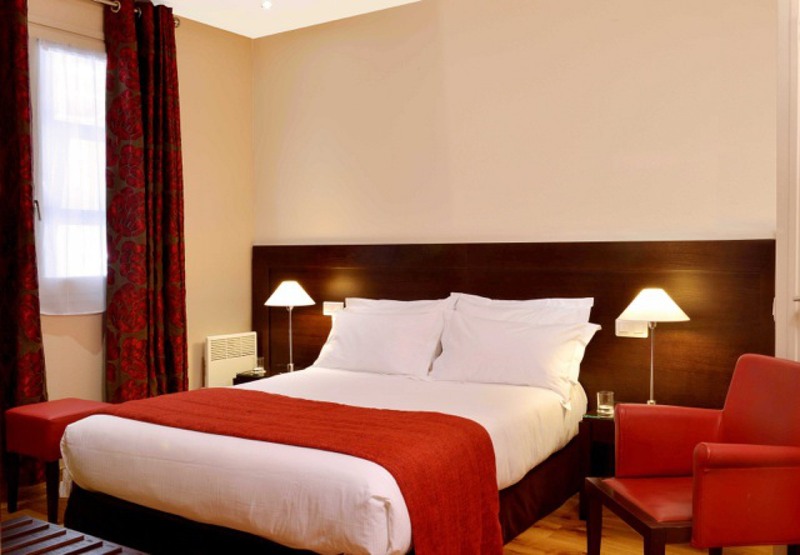 In your air-conditioned room, you will have free Wi-Fi, a TV, direct dial telephone, desk, minibar, hair dryer and safe. A courtesy tray, with coffee and tea, is provided. For stays as a couple, we offer our Standard double rooms. Thoughtfully designed, these give you optimum comfort and invite total relaxation. 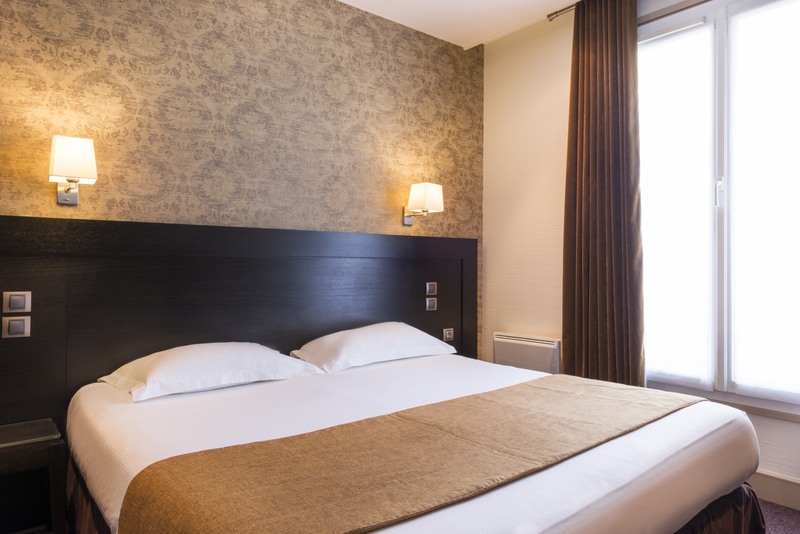 With a double bed of 1.6 metres, our Standard double rooms can accommodate one to two people. Overlooking the street, these fully air-conditioned rooms have a bathroom with a bath. They are also equipped with a TV, direct dial telephone, desk, minibar, hairdryer and safe, and benefit from free Wi-Fi, so you can stay connected. A courtesy tray with coffee and tea is also offered on arrival. 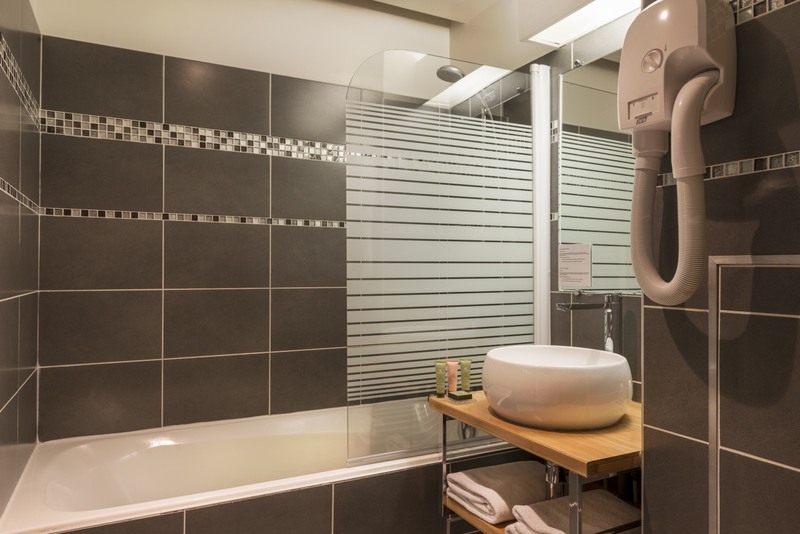 Designed for one or two people, our Standard double room located on the ground floor meets the PMR standards and is therefore fully adaptable to the needs of persons with reduced mobility. This room on the street side of the building also has air conditioning. 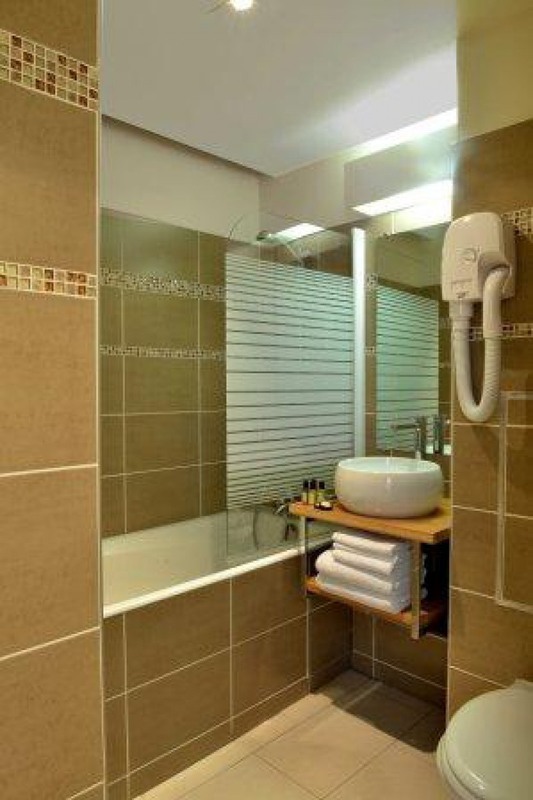 Television, telephone, desk, minibar and hairdryer are all provided to help you enjoy your stay. To welcome you there’s a courtesy tray with coffee and tea. 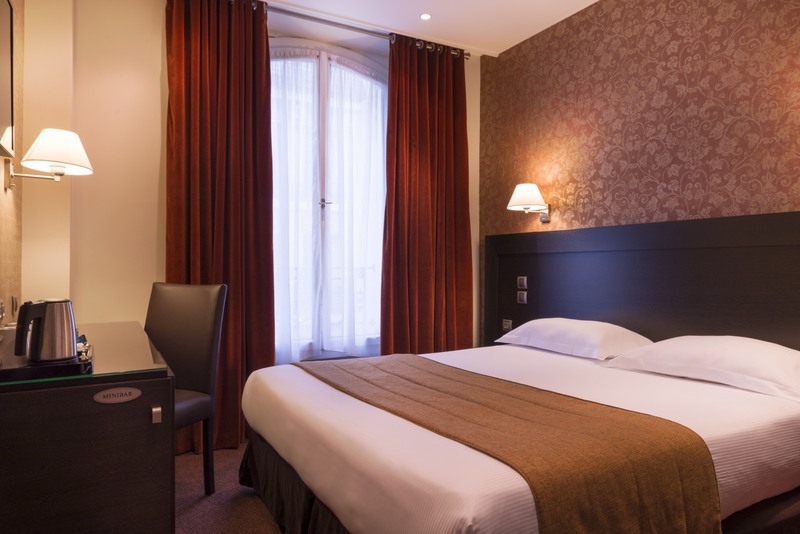 Discover the comfort of our Classique double rooms. 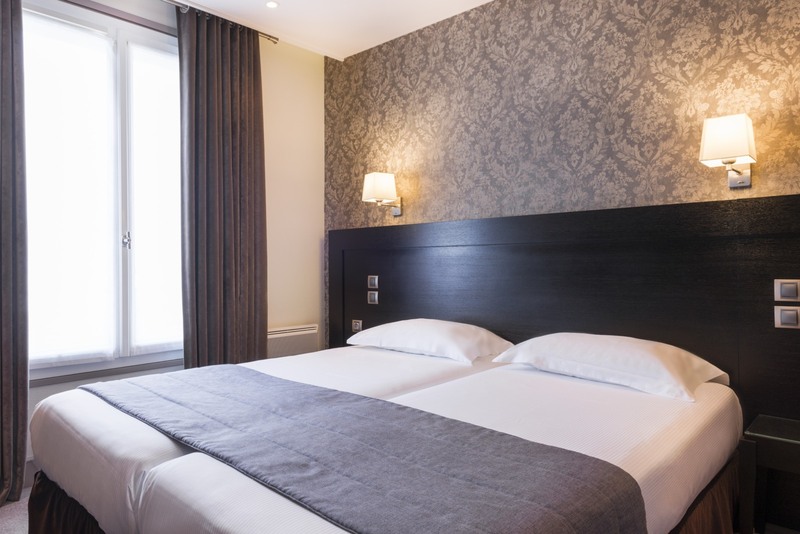 Accommodating one or two people, these rooms feature an Italian style king size double bed of 1.8 metres. 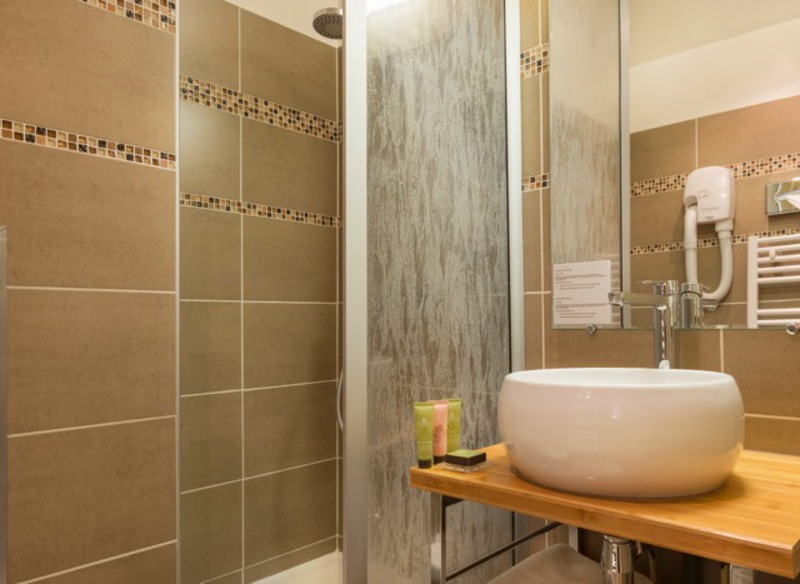 Located adjacent to the courtyard, our Classique air-conditioned double rooms have a bathroom with bathtub. For your ease and convenience, you will find that these rooms are provided with a TV, direct dial telephone, desk, minibar, hairdryer and safe. And, on arrival, a hospitality tray with coffee and tea awaits! Bright and airy, our Classique twin rooms are equipped with two single beds of 90 cm and are designed to accommodate one or two people. They face the courtyard and feature a bathroom with bathtub. 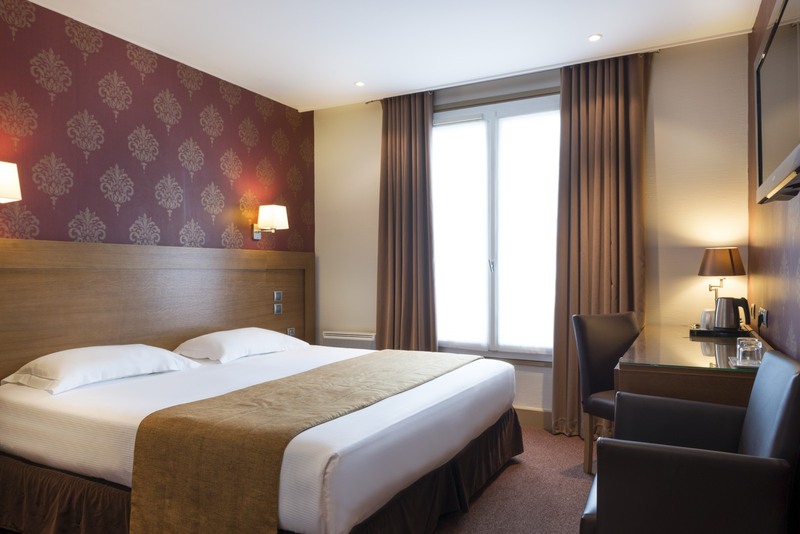 Our Classique twin rooms are equipped with TV, direct dial telephone, a desk, minibar, hairdryer and safe. And, to welcome you, we offer a courtesy tray with coffee and tea. 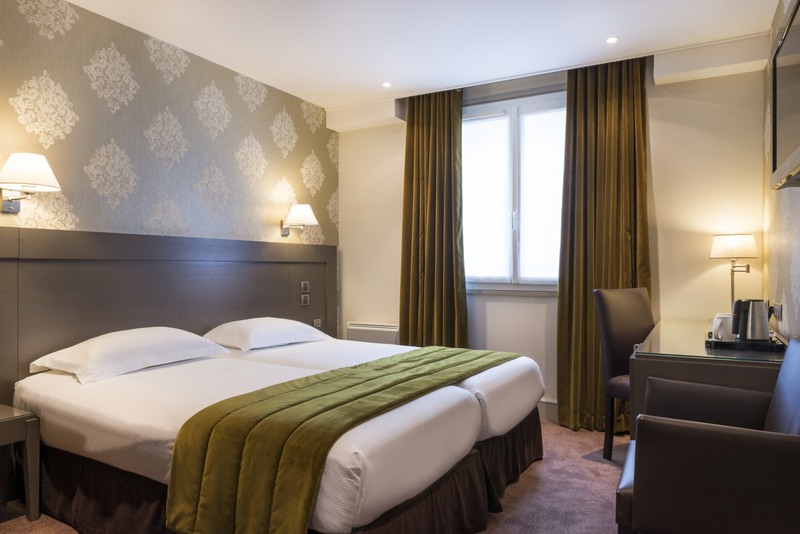 Designed to accommodate one or two people, our Supérieure rooms have a double bed of 1.4 metres and a bathroom with bathtub. Located on the street side of the building, they are elegantly decorated and furnished. 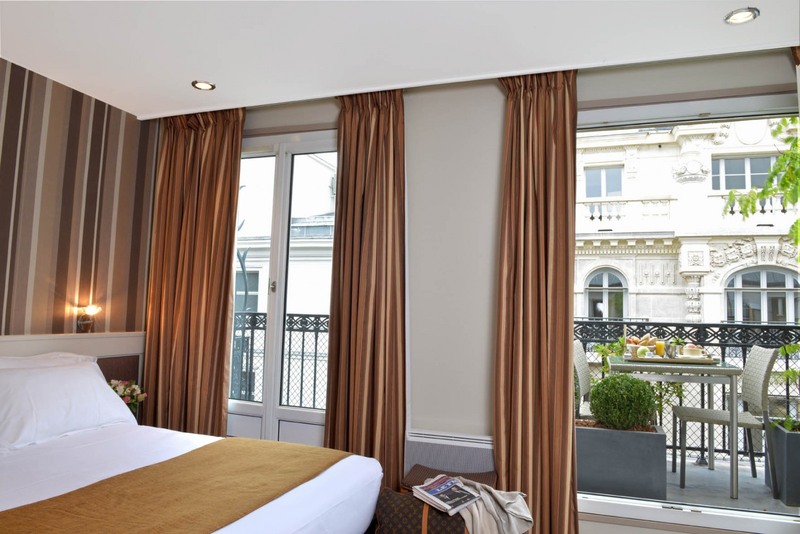 In addition, our Supérieure rooms offer a lovely furnished balcony with table and chairs. 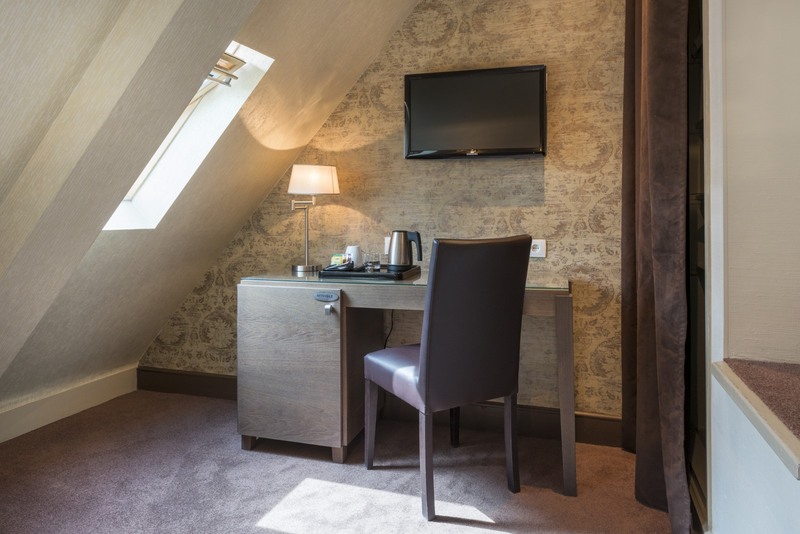 You will enjoy a fully equipped room with free Wi-Fi connectivity, TV, telephone, desk, minibar, hairdryer and safe, as well as a courtesy tray with coffee and tea on arrival.